Following the three explosions in Brussels, Belgium — two at an airport and one at a metro station in the city's center — on Tuesday, March 22, #JeSuisBruxelles ("I am Brussels") is trending on Twitter, as people around the world look for a way to show support and solidarity with the victims of the attacks. Today's explosions in the de facto capital of the European Union have left at least 20 dead and 106 wounded (17 severely so). As many people around the world express their sympathy and horror at the attacks, the "Je Suis" hashtag has reappeared. Originally made in response to the terrorist attacks on the French satirical newspaper Charlie Hedbo as #JeSuisCharlie ("I am Charlie) in January of last year, the phrase has been invoked since as a show of support for victims of attacks all over the world. In response to the attack, terror warning levels have been raised across Europe, and security has been increased around the world. According to The Independent, "Belgium’s interior minister has now raised the country’s entire terrorist threat alert to its highest level, which sees extra soldiers deployed to the streets and security at its ports and borders." Public transport has been brought to a standstill. 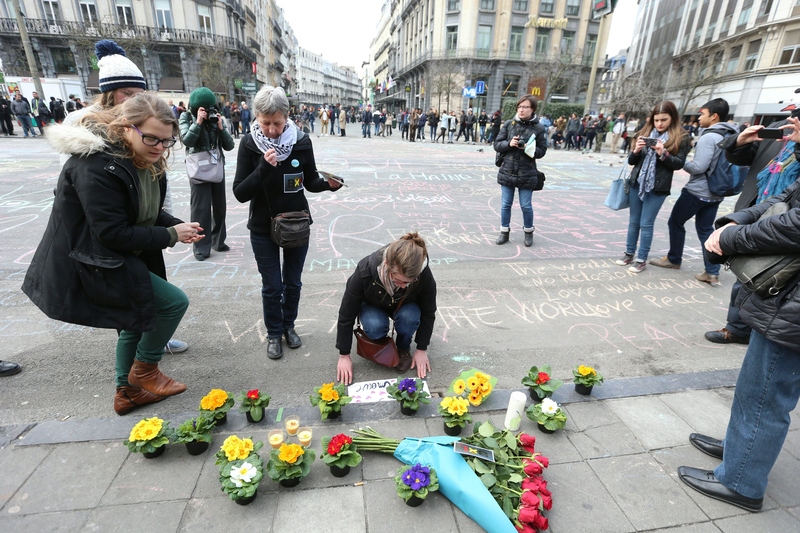 Belgian Prime Minister Charles Michel has taken to Twitter, saying: "I strongly condemn these hateful attacks. Our thoughts go out to the victims and their families. We stand united against terrorism."